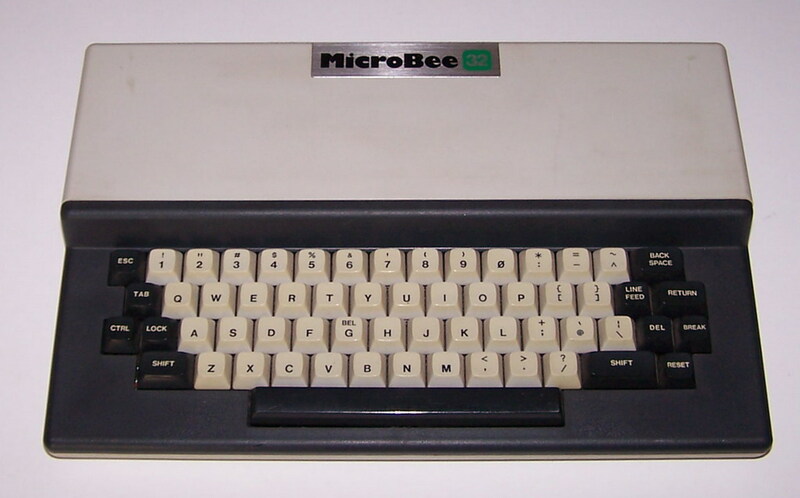 All the Microbee 32 pictures belongs to Juanvm. Serial port People did RS-232 by emulation off the PIO. Parallel port It has a parallel port driven by the Z-80 PIO. 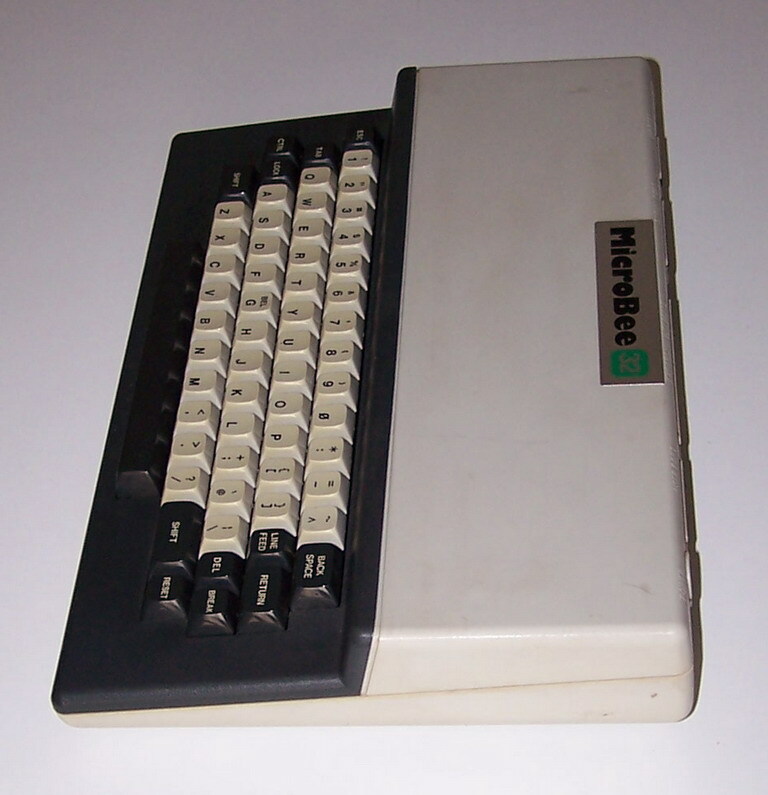 Others port Tape (300 and 1200 baud), composite video output. Expansion bus. Note It has a Programmable Character Generator (PCG) graphics, so characters 0..127 were ROM’d. Characters 128..255 were mapped to RAM, so you could custom-design 128 characters. But this meant that you could have 128 of the 1024 (64x16 chars on a screen) as custom, and no more. So it didn’t really have a graphics mode at all. - 32k IC (with EDASM) - 3.375 mHz clock. 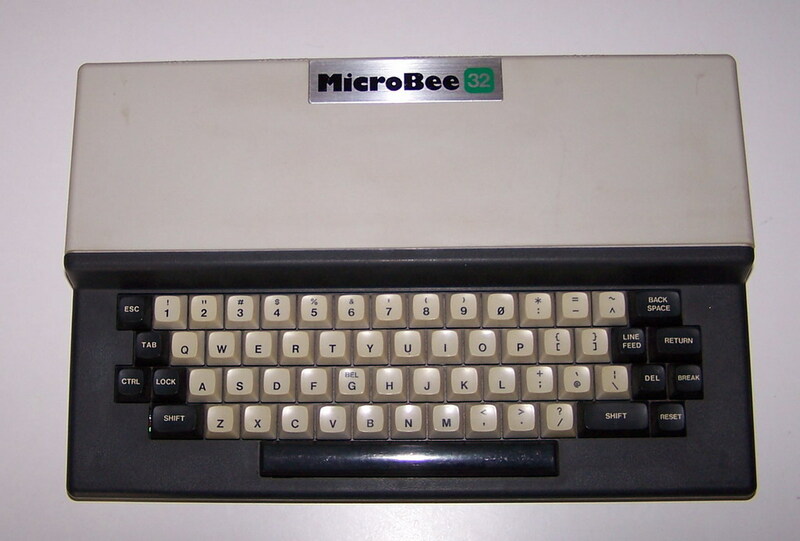 All later Z80 Microbees run at this speed though many were over clocked up to 6 mHz. 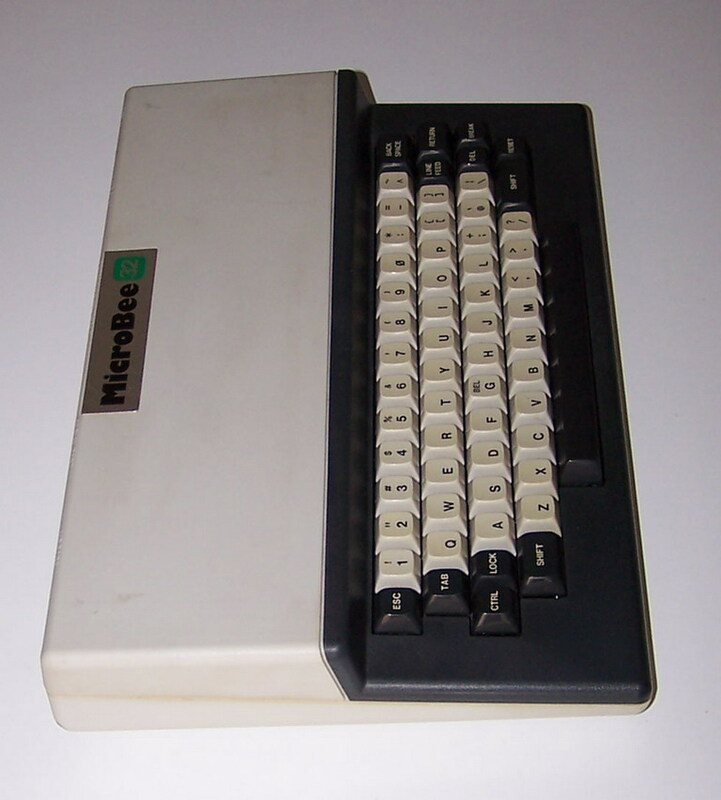 RAM was implemented in CMOS static RAM (6116 chips, from memory), and was battery backed-up! So if you turned off the ‘bee, your program was still there when you turned it back on. All the system did was a warm restart.